You found your way to our school and blog, welcome! Let’s acquaint for a bit. No matter if you found us at the beginning of your involvement in Chinese metaphysics, or if you are a full fledged teacher or consultant, our study program and our publications devote to your full personal autonomy and your competitiveness in the field. At the very least, it means, thorough training, intensive classes devised around solid, historically and technically sound theories, not just along latest attained insights, but as not we are afraid to debunk red herrings – decoys – so widely employed in Oriental metaphysics. If at all we handle myth, it is to have it replaced with teaching. “It’s difficult nowadays to select a teacher”. 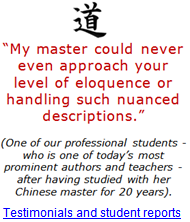 That’s what we keep hearing from students who come to our school, most with a long training history in Chinese metaphysics, some with their professional practice in full swing. As it seems, not only would most have been confused over all the contradictory teaching, but reluctant to link up with yet another school, for not knowing in advance if perhaps once again they’d end up looking at unfinished class notes, questions not being attended to, teacher into selling products prior to, during and after class, person in front of class with a microphone and actually ‘lecturing’, rather than at all teaching. We are proud, that many professional consultants and teachers turn to our school for profound training. Each study stands on its own, and can be done separately or in any order that you prefer. You may enroll in our 4-day master classes and/or distance learning, with Certificate of Completion. No Delay As a consequence of our No Delay approach in teaching, we have a lot to transmit in the shortest amount of time, but more importantly, we waive to be working from a training format that would require students to return to class just to gather the complete teaching in any single topic of study along a wide string of modules. One Gathering (no modules) That is why you will see any topic of study with us done comprehensively in just one gathering, be that as you join me for a 4-day master class in the Netherlands, or as you join distance learning. We don’t need a second gathering in class. That’s simply for reason that, if ever we’d even feel tempted to add another 4-day master class in any topic of study because (as they say) ‘Aaah, there is sooo much to share’, we’d have already just simply added that to the existing workbook (480-730 pages). It’s not likely going to happen that we’d be splitting up our class manuals into smaller versions, as actually, we’d rather see that other teachers added to their workbooks. As it is, all our workbooks contain additional teaching for you to take home and reap from for many years after completion of class. Class manuals are not just handouts with mandatory illustrations and just minimal accompanying text, but each one of our workbooks fully written out and reading like a novel, while workbooks are never static, but being edited, added to, removed from and improved all the time. Argentina, Australia, Austria, Belgium, Brazil, Canada, Colombia, Finland, France, Germany, Greece, Honduras, Hungary, India, Indonesia, Ireland, Italy, Israel, Latvia, Lebanon, Malaysia, Poland, Romania, Russia, Scotland, Singapore, Slovenia, South Africa, Spain, Sweden, Switzerland, United Arab Emirates, United Kingdom, United States of America, Vietnam. We were able to teach in Belgium, Brazil, Canada, Greece, Hong Kong, Poland, Portugal, Russian Federation, United Kingdom and USA, while Heluo has traveled the world to learn under the greatest masters in Canada, China, France, Germany, Hong Kong, India, Nepal, Taiwan, Tibet, United Kingdom. Heluo (Roel) Hill 賀洛 took a dive into Oriental metaphysics in 1973 ‘head first’ and to never look back. Fully preoccupied with studies, he trained the Korean art of Taekwondo, while he studied up to 2,000 titles on Chinese and Japanese metaphysics, esoterics, and books on such subjects as management, business strategy, economy, psychology, physiology, pathology, dietary and therapeutic systems in the period 1973-1979. He opened his martial arts center to teach Taekwondo and to pick up on existential counseling in 1979. He was Dutch National Champion Style and breaking techniques. A contestant and semi-finalist at the 1st ITF Worldchampionships Taekwondo in Leicester UK in 1988, his students won 12 national titles and 3 international titles. During his time as a martial arts center and parallel to his involvements as a sports instructor, he individually trained hard drug addicts, and people with dire tribulations such as psychosis, suicidal tendencies and spirit possession. After years of searching for a Chinese teacher, he was finally admitted as a private student to a Chinese master in the Netherlands, with whom he then trained biweekly in Flying Star Feng Shui and Four Pillars of Destiny for a period of 2 years (1992-1994). After he had taken up on teaching Nine Star Ki Astrology and 9 Ki Divination in 1988, he started to teach Flying Star Feng Shui and Bazi in 1993, until he was able to transmit his successful martial arts dojo to an assistent in 1997, so that he could finally fully devote to Heluo Qi Explorations Netherlands 賀洛氣學, to teach his current study program Professional Destiny Consultant. Heluo teaches in a personal and very much down to earth style, interested mainly in what the ancient scholars would have intended, rather than he would follow trends as we’d have seen increasingly so once Chinese Feng Shui plunged into global hype around 1995. As an attentive reader of his publications, you may note that Heluo makes it into sport to debunk the many decoys so widely employed in Chinese metaphysics, then share his findings with his students once class door closes. We commit to learning, teaching and counseling time, space and destiny studies. Only (we do not sell products). Your training can be done through 4-day master classes in the Netherlands and through one-on-one distance learning. We will be able to do your profound life readings in Nine Star Ki Astrology or Four Pillars of Destiny Bazi, but strictly without the use of any computer generated materials, as everything will be done by hand, written on your life and person (I am not reading birth charts, I am ‘reading’ you as a person). We will do your Feng Shui project, whether you want us to look at your house, your company or if you’re house hunting. As it is and way before we started this blog, we have been publishing free articles and lessons on our website on Flying Star Feng Shui, 9 Star Ki Divination, Four Pillars of Destiny Ba Zi, Nine Star Ki astrology since 1999. Anyway, these are called ‘articles’ for the occasion, as these actually reach you as excerpts or unabridged chapters from out of our workbooks. That’s for a reason. It means that, wherever you are, you will have access to traditional teaching and it is our way to contribute to widespread learning. We would only wish to see colleagues follow suit and be sharing more of their genuine class materials. We then decided to start this blog in 2007, specifically to develop new training materials, then published as blog series, as yet a new adventure into our quest of helping spread traditional teaching and help build a new breed of practitioners. As we will here specifically publish authentic and newly developed materials for you to learn and reap from, yes, our blog series may be assuming just a bit of preliminary knowledge with regard to 9 Stars, Luoshu or Heavenly Stems and Earthly Branches. We have been teaching our internationally positioned and (we make sure) highly competitive practitioner program Professional Destiny Consultant since 1997. While our school is based in the Netherlands, we may teach in your country upon invitation. Contact to hear how you can become an organizer to our study program. We keep to a cumulative compensation program for our organizers. Each of our 4-day master classes and distance learning can be followed on its own or in any preferred order, while you will receive authentic and complete education in our One Gathering and No Delay style of teaching. We offer a full educational program with college style teaching that will have lasting effect if you have been – or if you aspire to be – a professional counselor or teacher. Tell us your question or any issue you have been dealing with. Everything done from highest attainable confidentiality, computer generated work strictly off limits. Our intensive 9 Ki life readings and Chinese Bazi horoscopes will be written on your person, including intake of your life chronology and vivid exchange after we finished your report to make a lasting difference. Feng Shui audits can be done on site or off-site. 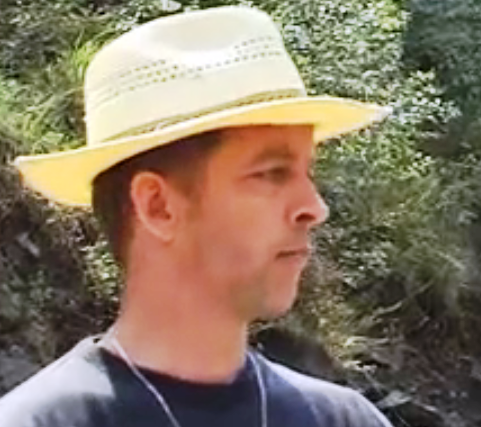 Free articles and lessons in the series “Explorations with Heluo”. If you like to learn, you may find extensive articles in our series “Explorations with Heluo” on our website http://www.heluo.nl, which articles are excerpts or unabridged chapters from out of our class workbooks, so that everyone can learn metaphysics. If you like to translate any of our publications here or on our main website in your own language, you may contact our office and we will gladly send you our translator protocol. If you feel our freely published work would come to the benefit of others too, we would be indebted if you granted a link to us from your www platform. Nine Star Ki Yahoo! Group You are most welcome to our Nine Star Ki platform (1999). You will be in good company and you may share your 9 Ki knowledge or ask questions. Of course, all that was ever published will be waiting for you in the list archives. Then of course our little blog here This blog will be only our opportunity the more to share some of Heluo’s insights on Oriental cosmology, hopefully a solid complement to our website articles as we will be able to doing series here. One example is “Heluo – 9 Stars on Reversed Luoshu Axis” as a newly introduced syntax on 9 Stars and Luo Shu analysis for personal and news events predictions. You may contact me for any of our teachings and services. Supplementary studies Cheng Shi Feng Shui (cities) – 城市風水 Ba Zhai Feng Shui 八宅風水 Melodic Five Elements – Na Yin Wu Xing 納音五行 Astronomy, cosmology, food energetics, life counseling. Master Michio Kushi / Netherlands, 1979. Nine Star Ki Astrology, Japanese Face Diagnosis. Master Chan Ping Woon – Netherlands / 1992-1994. Private indoor student Flying Star Feng Shui and Four Pillars of Destiny. Stephen Devine / Netherlands, 1995-1997. Master Ronald D. Chin / Netherlands, 1997-1998. Taiwan, China, Tibet, Nepal, India, 1996, 1999. Master Prof. Dr. Cheng Jian Jun / Mainland China, 1999. Six day specialization (invitational) for professional practitioners, then private indoor student. Master Dr. Kai Zhang – Netherlands / 1992. Private student. Introduction to Chinese herbs and medicine – 5 elements and health. Master Dr. Ho Chin Chung / Taiwan, 1999. Six day specialization (invitational) for professional practitioners. Master Raymond Lo – Hong Kong / 1999. Six day specialization (invitational) for professional practitioners. Prof. Wang Yu De – China, Tibet, Nepal / 1999. Special application for professional practitioners, Yi Jing, Chinese philosophy. Michael Chiang – Hong Kong / 1999. Six day specialization (invitational) for professional practitioners. Master Alfred Huang / United Kingdom, 2001. Yi Jing. Other influential teachers that I feel forever indebted: Guus Augustin, Nico G. Daum, Ben Oude Luttikhuis, Louis Pardoel, Louis Vitalis, Henk Meijer, Seo Myung Soo, Hee IL Cho, Phil Janetta. We do not in any way collect information on visitors data. All our studies and consultations are done from highest attainable standards of confidentiality and non-disclosure. If you email us, if you are a student or client, or if you subscribe to our email newsletter “Heluo – keeping you posted”, the information shared by you remains with us. 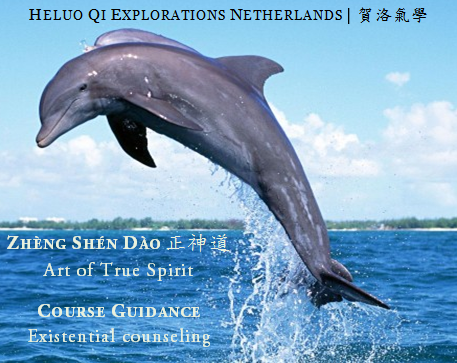 Heluo Qi Explorations Netherlands is a not-for-profit international school, research center and counseling practice for education and theoretical research into matters pertaining to time, space and destiny, rendering services upon request and for purpose of educational entertainment only. © No reproduction. Intellectual property remains Heluo Hill.